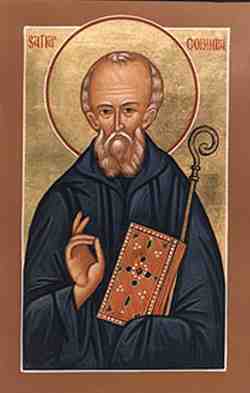 Saint Columba was a missionary who spread Christianity in the area, which is now Scotland. He founded the important abbey on Iona, which became a dominant religious and political institution in the region for centuries. His saint’s day is 9th June. The Iona Community, founded in 1938 by the Rev George MacLeod, is an ecumenical Christian community of men and women from different walks of life and different traditions in the Christian church acting, reflecting and praying for justice and peace and who share a common discipline of daily Bible reading and prayer. 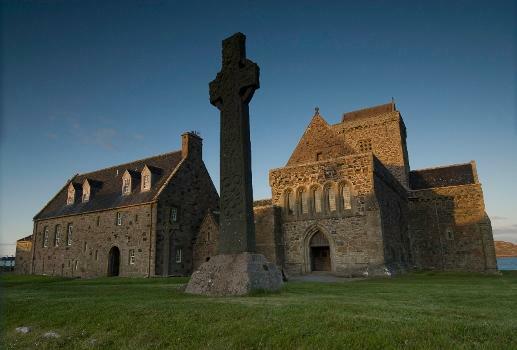 Its main activities take place on the island of Iona but it has members all over the world. To find out more go to its website: www.iona.org.uk. The Iona Community publishes many books, lists of which can be found on the website, but it also publishes beautiful free e-cards which can be found on www.ionabooks.com.